A speed controller is used to adjust the speed of a motor by varying the frequency and voltage and to control forward / reverse. 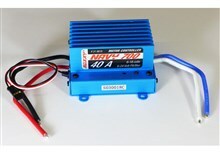 New CAP Maquettes offers speed controllers for rc models - boat, airplane - suitable for brushed motors. 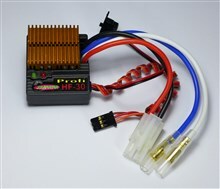 They are appropriate for NiMh or LiPo batteries. 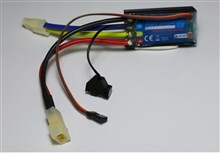 The 30A and 45A controllers are designed for brushless motors.